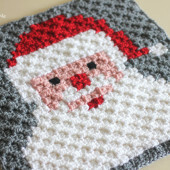 I’ve teamed up with my friends from AllFreeCrochet.com to bring you this adorable Crochet Angel! This darling Crochet Angel shares her calming Christmas spirit with all who behold her. Pretty braided locks cascade down her back and set her apart from other crochet angel patterns. Whether perched on your dining table as the centerpiece, nestled in the ring of an Advent Wreath, or snuggled by a grateful child, this amigurumi angel is sure to add an elegant touch to your holiday decor. Hook this little haloed beauty, and let her bring peace and joy to your heart this holiday season and all year ’round! 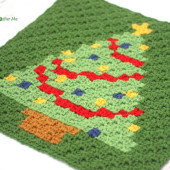 Thank you to AllFreeCrochet.com for hosting this pattern and collaborating with me! I cut and pasted to a document to get it printed. Started her with 5mm hook but the holes were so big I had to go down to a dmaller hook but that only makes her 6″tall. I wan a bigger angel…help! Heavier yarn or double strand your yarn maybe?!? I want to say thanks for the patterns you make for us. Your a great person. Can you please help me understand how to do the hair. I’m not sure how many 18 inch strands I need and where to attach them on the head. A video would be extremely helpful. Thanks for always sharing your creativity with us. It is greatly appreciated. I am just finding you now. 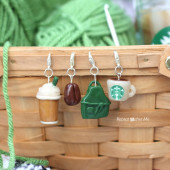 I am amazed at how much you share your share your patterns for free! I adore so many! I am also big into crock pot cooking. 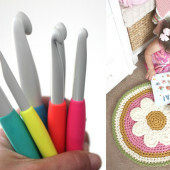 Thank you for so many other crochet related ideas! For the wings… The last row, it says SC across, ch 1, turn and SC shopping sides and top but not bottom.. I don’t get that part. How are we supposed to SC across the one side if we’re not supposed to crochet along the bottom to get to it..? Unless I’m having a brain fart and missing something haha can someone please help.. I would like to know, if I can not only make your patterns that you are so kind to give us the Pattern for free, but if I could make some and sale them? Im on Disability and a little extra cash could help. I would in Insert a card reading design By Repeat crafter me, but made by Ms.Vicki K.